Wow! 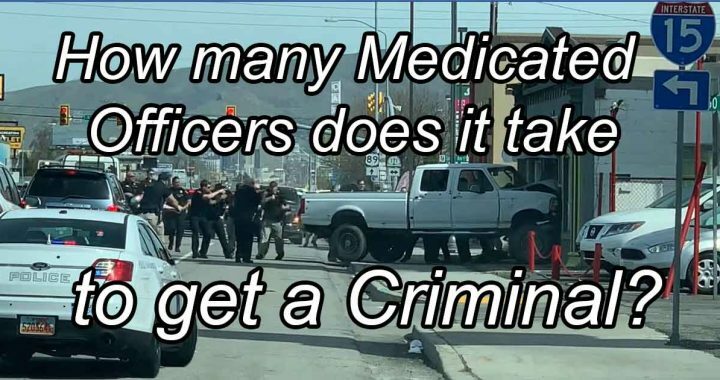 How many officers in SLC are on the same medications the public there is also taking?!!! Last summer we learned 25% of the women there are on them. Utah has long led the way in the use of the drugs. But to watch this you would never know that one of the first public lectures I gave on the antidepressant-induced violence was to the police in that county! Of course that was in the early 90’s so these would all be new officers who did not hear the information..
April 20, 1999 Chief Ortega, Salt Lake City Police Chief, was on the phone with me discussing the antidepressant-withdrawal shooting at the LDS Family History Library where my good friend Don Thomas lost his life as the security guard there. (I couldn’t tell you how many lectures he & I had spent discussing the dangers of these drugs as I warned him what he could be & did end up facing that day!) As Chief Ortega & I were speaking the Columbine shooting broke out & he asked if I thought that was an antidepressant case which of course it was. (In fact Columbine Survivor Mark Taylor, who took 6 to 13 bullets that day almost 20 years ago and sued the drug company for causing Columbine, just called me yesterday. I served as the expert in his case. I’ll have to send him a copy of this.) But Chief Ortega had seen enough of these cases in SLC & wanted to have a press conference on the violence these drugs were producing back then. In watching this video I realize we should have held that press conference even though it was right after that he discovered that his wife had terminal cancer & he needed to retire. 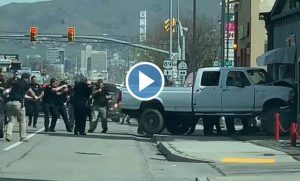 I am absolutely shocked by the response of these officers! I have worked with enough police chiefs that I know how many officers there are being given these drugs which are known to produce extreme violence & very impulsive violence and suicide. In fact in a murder-suicide case I worked in Wyoming for several years the drug company’s own expert testified that with the the way these drugs inhibit the metabolism of Serotonin what should be expected as the end result is impulsive murder & suicide! The jury ruled in that case that only two doses were enough to produce this mass murder suicide which left a family of four dead. But withdrawal done too rapidly, which happened in the Salt Lake Family History Library shooting can produce the same result. Withdrawal must be very very gradual to be safe. My response to a woman who read the above information and swears these drugs saved her. She also thought I should not be sharing private information. While I am sorry you and so many others were not given this information, as you should have, before they ever gave you these pills – drugs which are so incredibly difficult to withdraw from if you do not know what you are doing, at least you are getting the truth now. Sadly so many of these on this list did not get that information soon enough to save their lives. The doctor whose research was used to develop this group of drugs, Dr. Candace Pert, came out against them in Time Magazine, October 8, 1997 calling the drugs “monsters” and wishing her work would never have been used to make them possible. Also the doctor who worked for the drug maker came forward in 2010 to do his first interview in the US here in Utah. He admitted that these drugs were approved through bribery. He was the one who bribed the approval for the drug company and wanted to do what he could to reverse the damage he had caused by his actions. 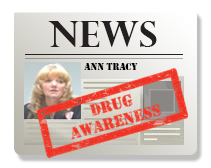 What is tragic for all of those who were lied to about these drugs is that it takes years to wean off of the drug safely because the withdrawal must be so extremely gradual, generally taking years to wean off safely! There is nothing fair about that. Everything about this is wrong. But then everything was wrong with the diet pills fen-phen and Redux which killed and disabled so many before being pulled from the market. How many died before PCP (Angel Dust) was pulled after seven years on the market? No one knows. Sadly it took law enforcement and judges to get that one pulled because the AMA and FDA were not concerned. And everything was wrong about the over 50,000 who died from taking the drug Vioxx pulled only a few years ago. And so many more prescription drugs! Why we have not yet held the FDA accountable for so much suffering and death, I do not know! The public really needs to stand up & demand that this deception over prescription drugs comes to an end! 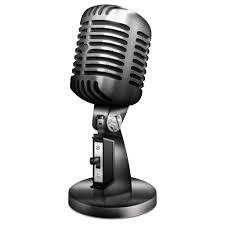 Yet another school shooting today with reporters asking why another in Colorado again? I can tell them why! I can tell them why! It is because when Columbine happened they used the funds coming in to help the survivors to build a new counseling center where they peddled antidepressants like crazy! The kids could not even pick up their mail from those sending condolences to them unless they picked them up at the new counseling center where they would of course do all they could to put more of them on the meds. And it was not just the children, but whole families. Therefore much of Colorado became medicated at that point. 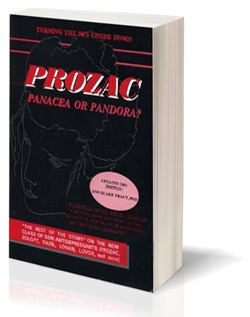 We then began to watch more and more cases involving antidepressants came in from Colorado. So now we wait to see how long it will take to find out what this young man was taking. 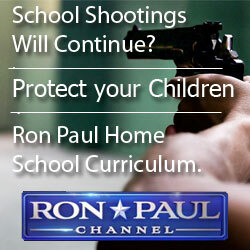 But while we wait I would encourage you all to share with as many as you can our list of school shootings: http://www.drugawareness.org/ssri-nightmares/school-shootings/ along with our list of school shootings in video format: http://www.youtube.com/watch?v=JpFoivbZH1o&feature=youtu.be and our video of a school shooting incident Why I Took a Gun to School … http://www.drugawareness.org/recentcasesblog/why-i-took-a-gun-to-school-1 where the young man who took a gun to school while under the influence of Effexor and in withdrawal from Paxil explains what happened to him. As far as I know this is the only interview of a school shooter talking about what happened because most commit suicide after as this young man did today in Colorado. 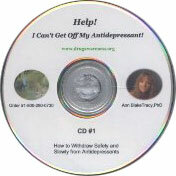 WITHDRAWAL WARNING: In sharing this information about adverse reactions to antidepressants I always recommend that you also give reference to my CD on safe withdrawal, Help! I Can’t Get Off My Antidepressant!, so that we do not have more people dropping off these drugs too quickly – a move which I have warned from the beginning can be even more dangerous than staying on the drugs! DISTRAUGHT and depressed after losing his job, JCB driver John Hobbs shot himself in the garden of his Soham home. Just one day after being made redundant, 63-year-old Mr Hobbs went into a deep depression. “From that day, the John I knew and loved was gone, and we began to argue,” his loving wife Gwendoline told an inquest at Ely Magistrate’s Court on Tuesday. Mr Hobbs was so desperate to get a new job, that he even approached members of the public in the doctor’s surgery car park, asking for a job, said Mrs Hobbs. He lost nearly two stone in weight over a 10-week period. “He looked gaunt; he was a shell of himself. Mr Hobbs, who had been diabetic for 10 years, died on May 17 from a traumatic head injury, five days after being prescribed anti-depressants. Mr and Mrs Hobbs had been married for 43 years, and lived together in Cornmills Road at Soham. “Sometime in the afternoon I heard a very loud bang from the rear garden, it sounded like a shotgun, I was very worried,” said Mrs Hobbs in her statement. He started work for Bradford Properties in 1967; he was very proud of his job, and always eager to get work. After being diagnosed with diabetes, Mr Hobbs struggled with his weight, and found taking his medication a chore. He was looking forward to retirement, but in December last year was given 12 weeks’ notice, and even offered to work for half pay. Coroner William Morris recorded verdict of suicide. On Nov.6, 2000, my world was turned upside down. Life as I knew it was changed forever on that day. My beautiful 19 yr old son was put on the drug Paxil for depression. He was never monitored and I was never told of the dangers associated with this mind-altering drug. He was on this drug for about 3 weeks. Then on Nov. 6,2000, my son took a shotgun and put it in his mouth and pulled the trigger. He ended his life because of this damn drug. How can they claim that it is safe when all I hear is how dangerous this drug is and that when you are on it, you have to be monitored very closely. I was told by the doctor that it wouldnt hurt him. Well when I asked my son one day if he was still taking it, and he said yes, but he didnt like the way it made him feel, I asked him what he meant by that. He said like I dont know who I am or what I am doing. Now he is silenced forever and I am living a life of never having to see my son grow into a wonderful person. He will never have a family of his own thanks to that damn wonder drug known as PAXIL. I wish that they would pull that drug from the market so no other family will have to live this nightmare. This is Survivor Story number 25. LOVE THE ONION! Turning truth into humor to wake us up!